I finally got to watch Quentin Tarantino’s Inglourious Basterds last night, and I have to say… I’m disappointed. It is first, and foremost, a pretentious film that reminds me a lot of Shadow of the Vampire – I often find that these critiques of the film industry tend to fall flat because they become wrapped up in their own irony. Shadow was about the cannabilistic nature of the industry and the pretentions of directors – the irony was that the film became pretentious by mocking pretentious film-making, and was a poor film for it. Inglourious starts off promising enough, having a Spaghetti Western style opening in Nazi-occupied France, the overlong conversation that starts the film off has a beautiful tension to it. The use of long, casual conversation underlies the potential for violence that permeates the scene. Unfortunately, the film is pretty much down hill from there. Tarantino seems torn between making the film a black comedy or a metaphor about violence in film. These are often two flavours that simply do not mix well. Then about halfway through the film, he decides to use the very same long conversation technique from the beginning of the film – this just is a bad move. The second time loses the tension and when the expected violence breaks loose, Tarantino cuts off several storylines before they really began. This is a deliberate decision on his part – but it’s a bad decision. In what could have been a humourously dark twist, the plan of one group of protagonists have to change. But instead, it just gets played too straight and feels mean-spirited instead. Tarantino is trying to copy the underlying metaphor of the film Funny Games – but he ends up revelling in the very thing he’s meaning to criticise. Funny Games worked because it made the audience uncomfortable by being honest about what they were going to see – it’s a thriller/horror and it remains so. The audience is made uncomfortable by the way the film progresses – but it never mocks the audience. Tarantino, on the other hand, is mocking his audience – which is, frankly, stupid. Yes, make them uncomfortable. But this film tries too hard to mock them for watching a violent war movie – and then degenerates into a violent war movie anyway. It also manages to make every single character repulsive. It’s just poor film-making and writing. Yes, the idea is a good one. Showing how mindless violence in films is horrifying, and how audiences flock to see it is scary. But there are better ways of doing it than this. Personally, Pulp Fiction did a better job by keeping its sense of humour. 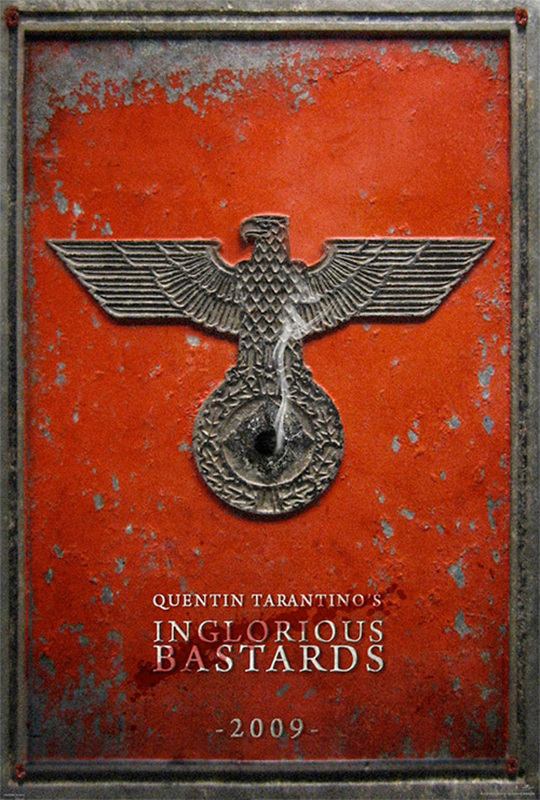 Inglourious just feels like it doesn’t want to you enjoy the filmgoing experience. If anything, it seems to want to make the viewer never see a movie again. An odd tactic. And then at the end of the film, the payoff just feels as crap and meanspirited as the rest of the movie. This is a pretentious and unlikeable film and it’s Tarantino at his worst. If you haven’t seen it yet… don’t. The message is just not worth the aggravation.